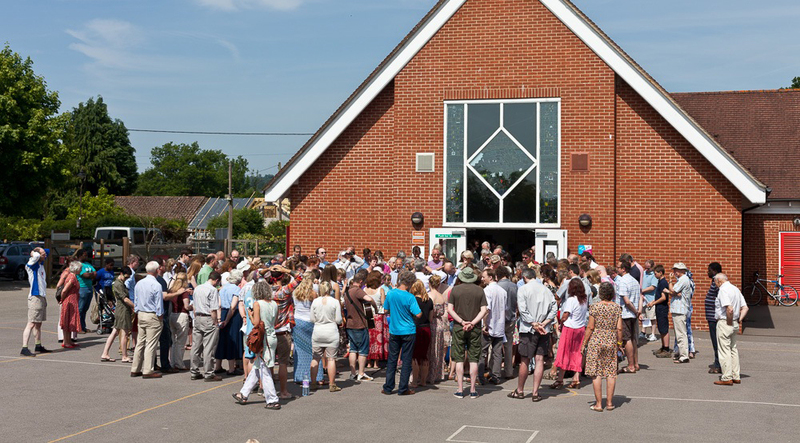 Hope is a multi-site church, currently meeting as two congregations in Petersfield Community Centre and Greatham Primary School. Together we are about 170 people, with ages from 0 to 90 and most stages in between. We live in Petersfield and Greatham and the surrounding towns and villages of Liss, Liphook, Haslemere, Bordon, Whitehill, Buriton. On Sunday mornings both congregations start with coffee and pastries from 10.30. We are usually called to order about 10.50, and finish about 12.15. Children are a central part of our church family, and always welcome in our meetings. There is a crèche each week. Most weeks we offer classes for children aged 3–14 during the second part of our services. The first Sunday of each month is an all-age family service. The style of our meetings is relaxed, with a mixture of contemporary and older music, open prayer, teaching from the Bible and sometimes drama. We are delighted to welcome visitors, wherever you are in the spectrum of belief or non-belief. There is plenty of parking at both venues. There is no dress code, and you can leave whenever you want. Hope Church is founded on seven Core Values and has five Purposes. Our statement of faith is adapted from that of the Universities and Colleges Christian Fellowship. We are part of the Evangelical Alliance, a network of approximately 3500 churches across the UK. The head of our church is Jesus Christ, who is God himself graciously making himself known to us by coming into this world as a human being. Jesus is our Lord, and his word to us, the Bible, is our only authority for all that we believe, teach and do. We try to ensure that our policies, as well as our Core Values and Purposes, are derived from, or consistent with, the teaching of the Bible. 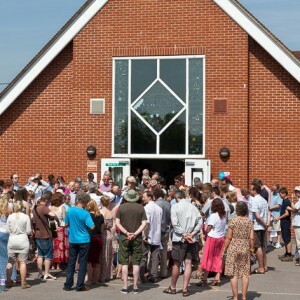 Hope is a multi-site church, currently meeting as two congregations in Petersfield Community Centre and Greatham Primary School.